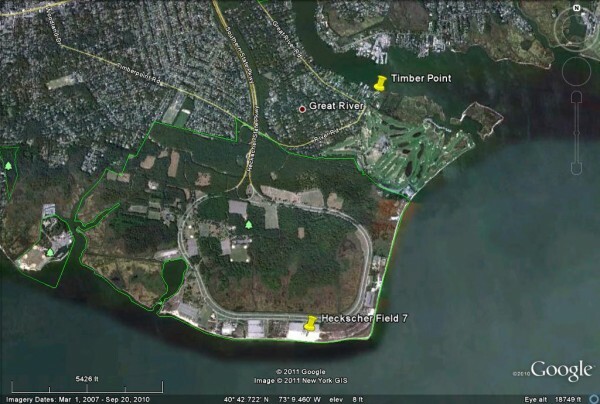 By popular request, our next regular Monday evening kayak skills session will be held at Heckscher State Park instead of the usual Timber Point. We will launch directly into Great South Bay from the beach at Field 7. Most members have become quite adept at kayak handling and rescues on the waters of the Connetquot River. Now it’s time to do some paddling in somewhat more challenging conditions. The park is located at the very end of the Southern State Parkway (Heckscher Parkway). It is about 2 minutes away from Timber Point. And the good news is that the State does not collect a parking fee after 4 PM.